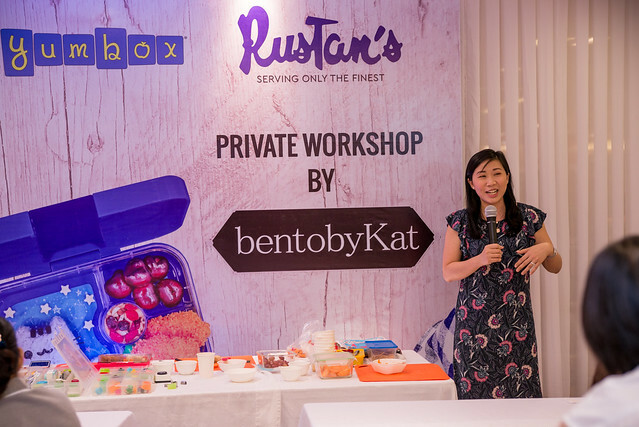 After the Mommy Mundo Talk a few weeks ago, we had a quick lunch and then went to Rustan’s Makati for a Yumbox Bento Workshop conducted no less by, Bento by Kat! Hada mode ang peg ko that weekend. I was still jetlagged but I couldn’t say no to my two favorite mompreneurs, Janice and Cheryl. Even if that meant I would go to Makati for hair and make up at 7am, then go to Alabang, do the talk and then brave the traffic to Makati. I was excited for this event. 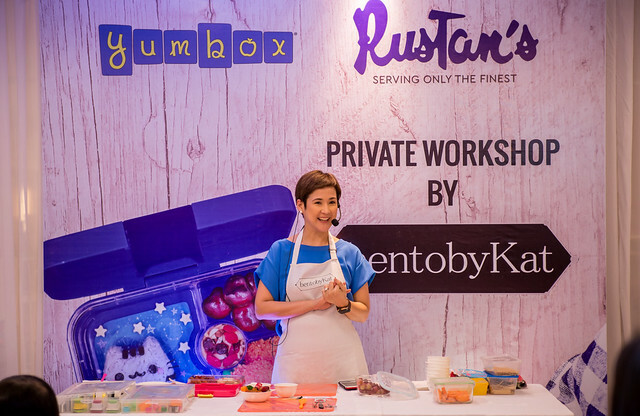 I want to learn more about bento making and I love Kat Maderazo! She’s so good at what she does And she’s really, really pretty and nice! The event was so bongga. 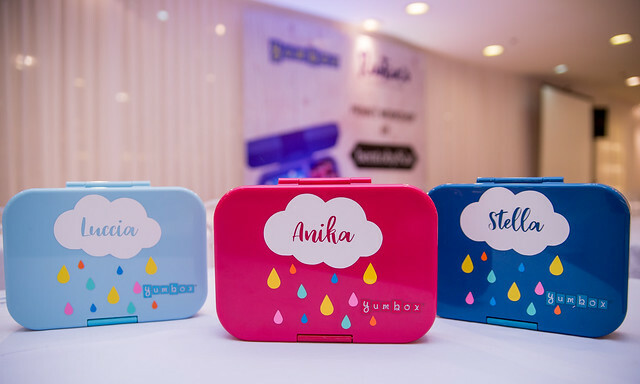 Each kid participant got to have his/her own personalized Yumbox! Kabog, di ba? 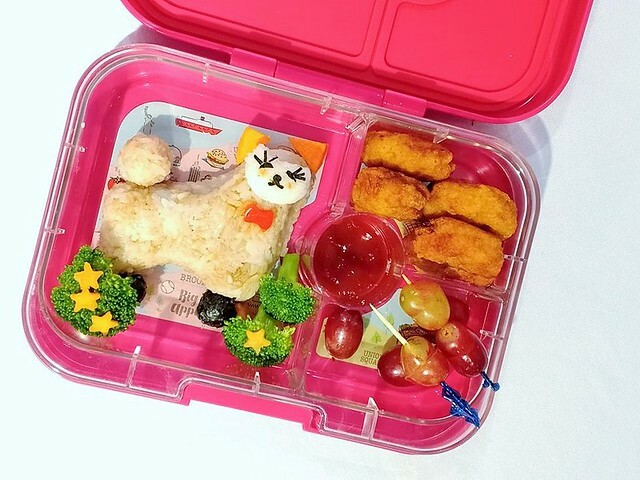 All the kids did their own bento designs on their respective Yumboxes. Thank you so much Brightbrands.ph for this! 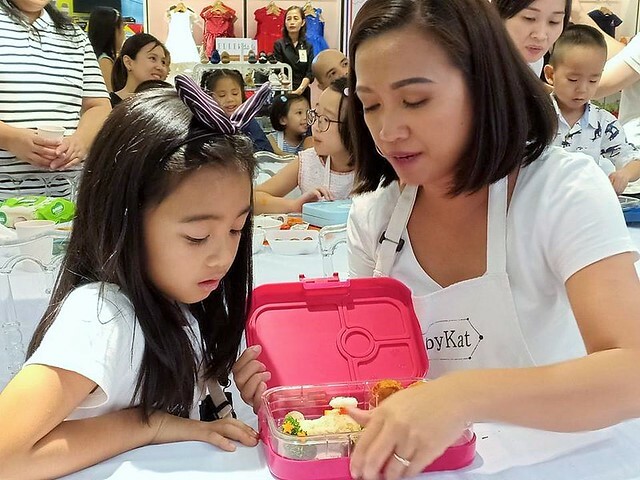 Brightbrands.ph is the exclusive distributor of Yumbox in the country. 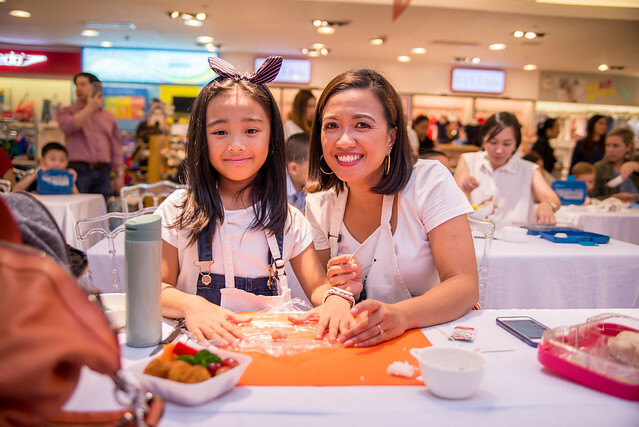 It was established by husband and wife tandem, Cheryl and Paul Sy. I love Cheryl! Our communication online and offline didn’t stop after she gave Anika her very first Yumbox two years ago. She’s very thoughtful and sincere. Mararamdaman mo talaga with her yun. That’s how we became friends who, up to now, have yet to fulfill our coffee meet up. Hahaha! Ang busy talaga kasi eh! 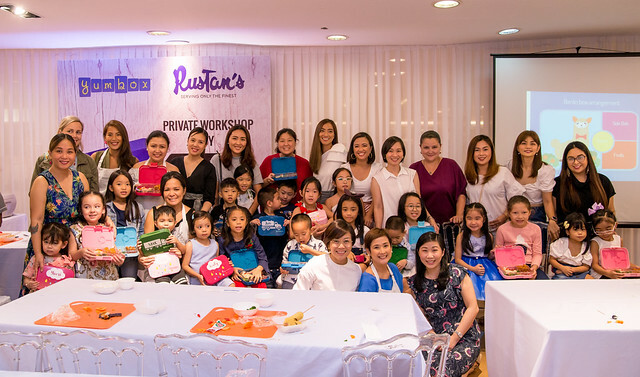 Not only that ha, the kids also went home with lunchboxes from Esheartph. 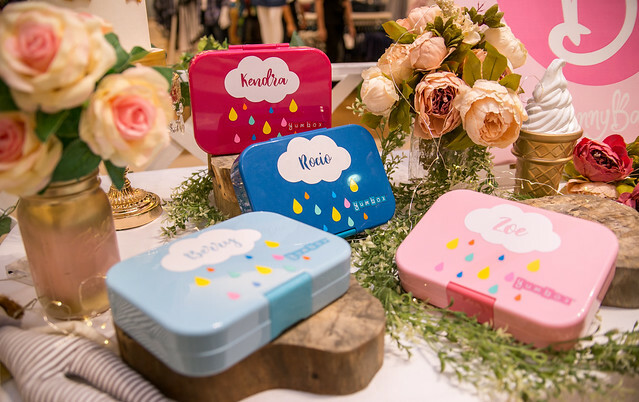 They’re also personalized, insulated and it’s made to fit the Yumbox! So cute! Anika’s Yumbox now is upright all the time. Sure na sure na ako na hindi maglalabo labo the design in each compartment. They also gave the personalized spoon and fork from Design and Engrave. 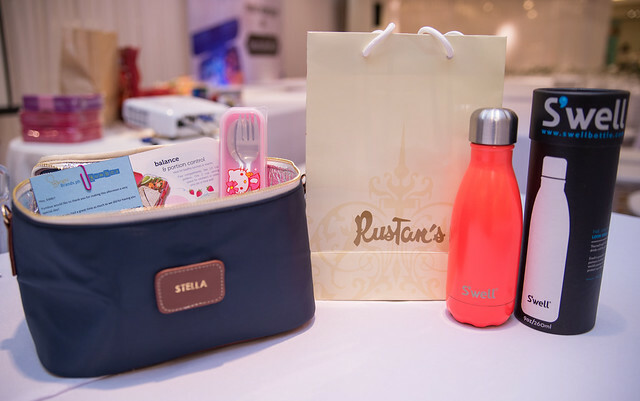 And Rustan’s gave the kids S’well water bottles. 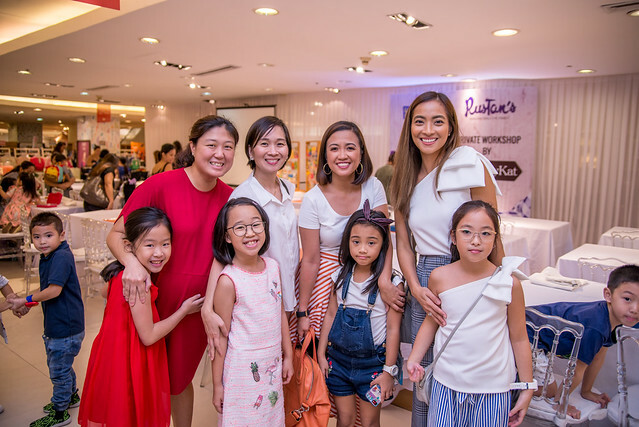 I was so happy to see Didi, Tin and Jackie at the event. I haven’t seen them for the loooooooongest time! At around 3pm, the event started with Anika as the opening prayer leader. I told you she’s pretty! We had so much fun! It was a great bonding experience. 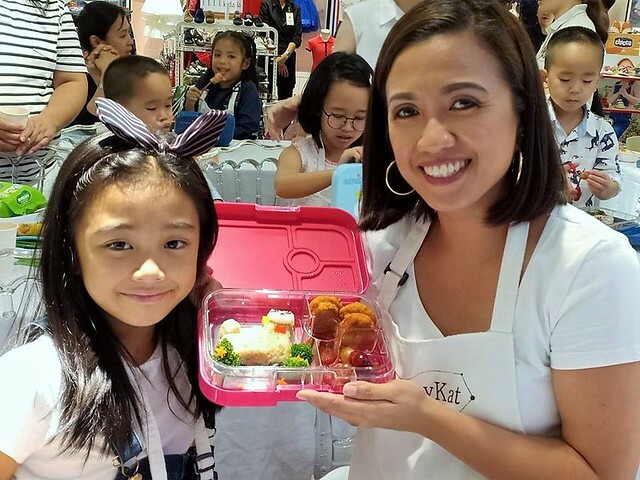 Anika was able to see how I make her baon everyday. Ang problem nga lang kung ano-anong animals na ang hinihingi! It’s very easy to do daw! Ay ‘Day! It’s easy to do if you’re not pupungas pungas at 4:30 am noh! Hahahaha! This is Cheryl of Brightbrands.ph. Thanks so much for having us! Why do I love the Yumbox, let me count the ways (hahaha!).. One, it’s leakproof. Food does not spill over the other compartments even if you pack them yogurt and ulam with thick sauce. 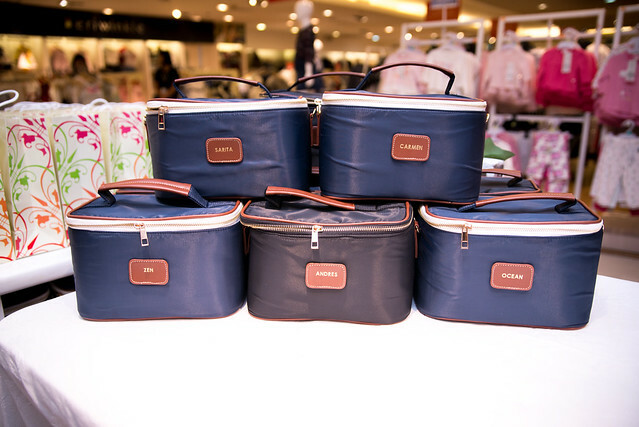 Two, it has compartments that helps me simplify packing a balanced meal for Anika’s food. 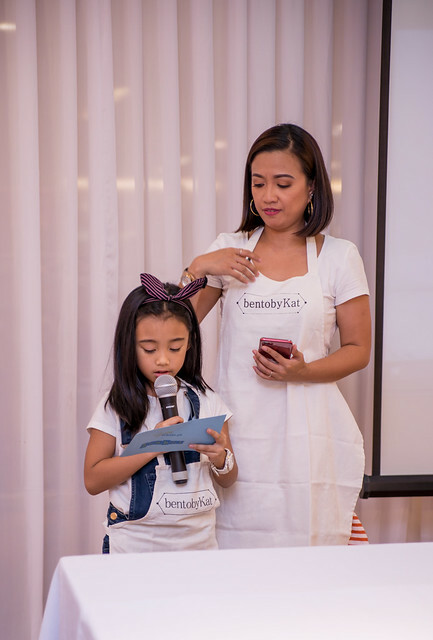 May suggestion pa of the dami of portions na needed by the kids for each food group. Three, it;s lightweight, compact and easy to clean. Four, it’s reusable so it’s healthy for the planet. Five, Alvin and I can use it too! Again, thank you to everyone who gave us a super nice bonding experience and so much pretty loot to take home!